Having the opportunity to engage with faculty members, staff, and even the President of the University, was the close-knit learning environment that allowed Communication major Ryan Ackerman to thrive. A transfer student from a larger, less personalized school, he was better able to learn and grow within the Castleton campus. “A single conversation with former President David Wolk made me realize that I need to pursue my passion and changed the course of my life for the better,” Ackerman said. What he notes as one of his most fond memories during his time at Castleton was an afternoon he spent in Wolk’s office. There, the two talked about a job offer Ackerman had received with a six-figure salary at a multi-billion dollar company. Though it was not the industry he was hoping to enter, Ackerman’s initial thoughts were to simply take the offer, but he quickly found himself conflicted and seeking the advice of someone he admired. After reaching out to Wolk, he cleared part of his day to meet with Ackerman and discuss what decision would be best. “He didn't tell me what to think, but he made me realize that I need to pursue what I love to be happy. I didn't want to chase the money, I wanted to be happy with the people who make me happiest,” Ackerman said. It was Wolk’s calm, assertive words that had such an impact on Ackerman that day and he said he has no remorse knowing he made the right decision turning down the offer. 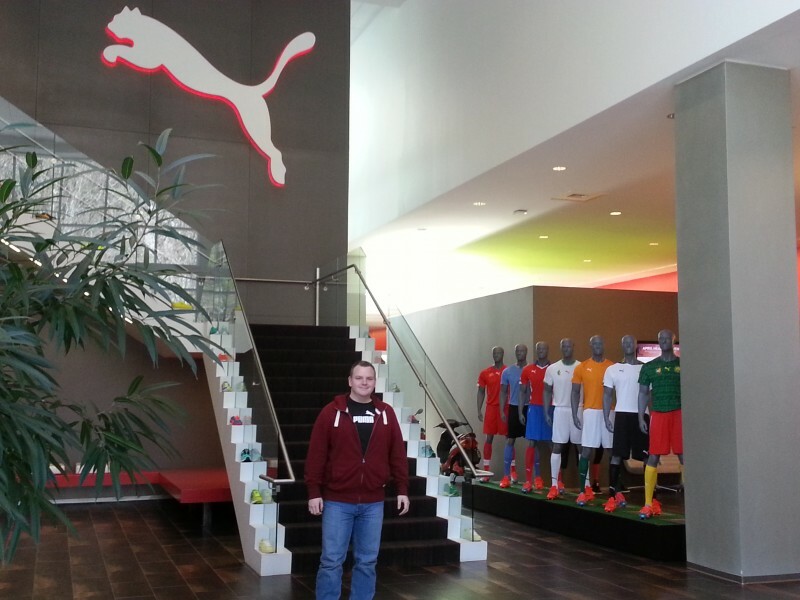 Since that day, Ackerman accepted a position with at the Puma North American headquarters in Massachusetts, and has decide to further his education and pursue an MBA at SNHU with a focus on Business Intelligence. It was everything about his time at the University that has Ackerman still considering Castleton a second home. His professors, friends, faculty members and the location made for an experience he will never forget. “Castleton served as the foundation for a successful career. Internships, coursework and the personal relationships I developed with my instructors pushed me outside my comfort zone and allowed me to develop marketable skills employers want,” he said.